In a shocking incident in Chennai, a woman murdered her ex-lover for killing her 9-year-old son. Reportedly, the deceased was out on bail when he was murdered by the woman's hired assailants. Nagarajan was in an extramarital affair with Manjula, who was married to Karthikeyan and had a son named Rithish. However, Nagarajan felt that Ritish was a hindrance to the relationship and murdered him in February 2018. He was arrested by the police and let on bail recently. Manjula hired mercenaries to murder Nagarajan. The assailants surrounded Nagarajan on a road and stabbed him with knives. After committing the murder, Manjula surrendered at the police station. 'கோயில் பிரசாதத்தில் விஷம்'...11 பேர் உயிரிழந்த பரிதாபம்...காவல்துறை தீவிர விசாரணை! ‘சித்தப்பாவுடன் வந்த 4 பேர்.. அம்மாவின் நாடகம்.. அப்பா தற்கொலை’.. 5 வயது மகன் கூறும் திடுக் உண்மைகள்! மனைவியின் சாவை ஆணவப்படுகொலை என சந்தேகித்த கணவரும் 2 மாதத்துக்கு பின் சடலமாக மீட்பு! This page contains news relating to various facts and events. The views are generally about current affiars and general topics in diversified areas such as political, international, national, and regional issues, sports, health, travel, lifestyle, technology and business. People having similar interets on the above topics will find this page useful. 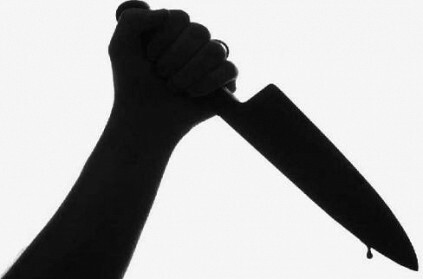 Chennai - Woman murder ex-lover for killing her son | Tamil Nadu News.